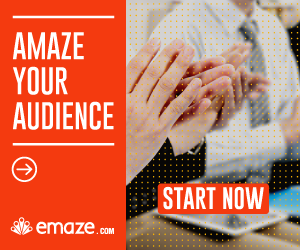 [video] Emaze review: the best ✌️ online presentation tool? Not satisfied with the design of your PowerPoint presentation? You always wanted that your presentations will be designed and attractive, but your lack of design knowledge limited you? Emaze will provide you a solution for those problems. You always wanted to create a breathtaking presentation that will attract the attention of your audience? Unfortunately, creating designed presentations it’s very frustrating thing for who doesn’t have knowledge in designing and purchasing a service of presentations designing is very expensive. Emaze came to solve this exact problem – and Emaze allows anyone to create designed and professional presentations without any special knowledge in design. Teachers – In the smartphones and applications era the concentration range of the students is very low. Designed and attractive presentations can donate to increasing the concentration of the students. Entrepreneurs – Entrepreneurs using presentations especially for showing an idea or program in front of investors. Investors like innovations and because of it, designed presentation can donate to increase the appreciation and concentration from the investor. Lecturers – The audience hates to get bored. With designed presentations, you can cause your audience to be more enthusiastic and interested in your explain. Business Owners – It’s can be useful in a meeting with potential customers, embed link in the website and more. Pupils – Teachers always appreciate precipitating in designing of homework. Choose template – there are 3 types of templates: Normal presentation, D3 presentation and video presentation. In addition, all presentation divided to categories like business, lifestyle, education, marketing and art. Change the content – There are some types of slide in the presentation. Choose a slide in the desired order and start to change and add content in every slide. In every slide, you can add text, photos, videos and graphs. Adding audio to the presentation. Advanced editing options of elements. Importing presentations from PowerPoint – this way, you will can to make the boring PowerPoint presentations designed. Controlling presentation progress by speaking to the microphone. Translate directly from presentation – Choose a language and the system will translate the whole text in the presentation to the language you chose. The prominent contestant of Emaze is none other than Prezi. About the difference between them, we can say that it’s taking a time to understand how to use the presentations of Prezi. On the other hand, Emaze intended to users who don’t want to take too much care of the technical pan and then creating presentations is quicker for new users who didn’t use the system before. Emaze has a huge number of customers. In the website, you can see very big stock of clients, with more than 2 million presentations created with Emaze. By browsing in the big stock of presentations, you can get good ideas and inspiration that can help you create your presentations. The free account allows you to create how many presentations you want but without the options that exist in the premium plan. Emaze upgraded plan- Do you really need it? To set presentations as private- If you don’t want that all users will see your presentation, then the premium plan allows you to modify your presentation as private and give permission only to specific people you choose. This option is necessary when your presentation is only for you or you don’t want that someone else will ‘steal’ your idea. Access to premium templates – Better templates that, designed in an advanced level. Only subscribers can use. You can download the presentation to your computer – You don’t want to know what will happen if you’ll need to stop your lecture because there is no internet connection, right? In the premium plan, you’ll be able to download the presentation in HTML, PDF, video and Emaze format, so you’ll be able to watch the presentations even if you’re offline. Pro plan – especially for private users. This plan including the functions I mentioned above. Business plan – Including the functions of Pro plan, and you also can add tagged templates in this plan and more. Emaze is a great platform to create designed presentations without any design knowledge and without any special technical knowledge. The process of presentations creation in Emaze is very simple and quick, and it’s don’t take too much time to understand how to work with this tool. The free plan can be enough for you, but sometimes you will need to upgrade to the premium plan especially if you want that your presentations will be private and downloadable.